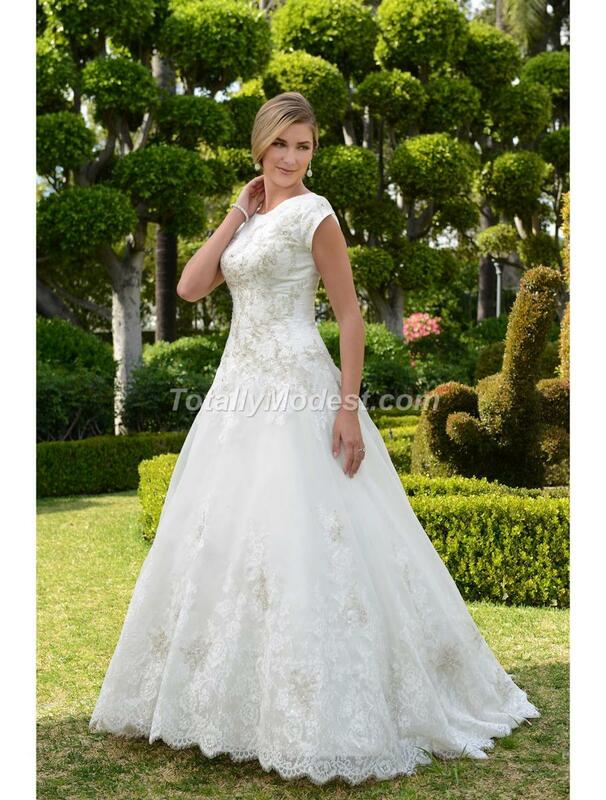 Organza A-line gown with Tulip sleeves, scoop neckline finished with a beaded trim. 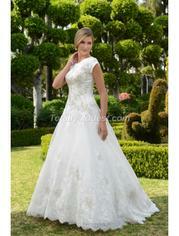 Bodice is embellished with beaded lace. Zipper back with buttons. Court length train.